"The Mongol Empire - Secrets to its Success"
For an email confirmation of reservation include a note with your email address with the check. Immerse yourself in his world of conquest, diplomacy, innovation and destruction. 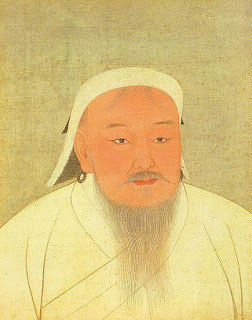 Genghis Khan features one of the largest collections of 13th-century artifacts from the Mongol Empire ever gathered in a single showing, many which have never been on display to the public. Explore a ger (or yurt)—the traditional house of Mongol nomads. Walk through a battlefield and face the thundering sight and sound of mounted warriors and Mongol siege engines. A new generation of top Chinese national leadership will take the stage at the 18th National Congress of the Chinese Communist Party (CCP) in November 2012. The struggle for power is fierce in the months before the Congress. The new leadership will have a huge impact in the next decade on China's political and social development, U.S-China relations, and the Carter Center's programming in China. Panelists include Harvard law professor William P. Alford, a renowned U.S. legal scholar and expert in Chinese law; Boston University international relations and political science professor Joseph Fewsmith, who is highly recognized for his work on China's politics; and Carter Center China Program Director Yawei Liu, who has written and commented extensively on China's political developments and grassroots democracy. This Conversation will be moderated by Carter Center Vice President for Peace Programs Dr. John Stremlau. Free Admission but RSVP required. To RSVP follow this link to the Carter Center Website.